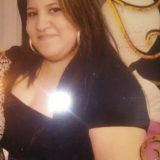 A funeral mass of Christian burial for Erika Rodriguez, age 39, of Sulphur Springs will be conducted at 1:00 p.m., Friday, June16, 2017 at St. James Catholic Church with Father Juan Carolos Sardinas and Sandra Yanez officiating. Interment will follow at Shooks Chapel Cemetery with Ascension Rodriguez, Jose Luis Rodriguez, Pedro Rodriguez, Sergio Gozalez, David Salinas, and Antonio Quinones serving as pallbearers. Visitation will be from 6:00 to 8:00 p.m., with Rosary beginning at 7:00 p.m., on Thursday, June 15, 2017 at West Oaks Funeral Home Chapel. Erika passed away on Sunday, June 11, 2017 at her residence. Erika was born on April 17, 1978 in Mexico City, Mexico, the daughter of Dario Rodriguez and Belen Saucedo Rodriguez. She was a homemaker and a member of St. James Catholic Church. She is survived by her husband Sergio Gonzalez, her parents, daughter, Jessica Gonzalez and sister, Aljandra Salinas. She was preceded in death by her brother, Hector Rodriguez.